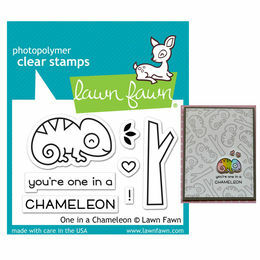 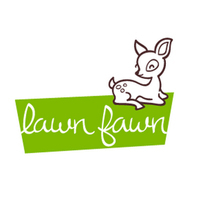 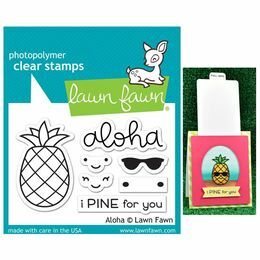 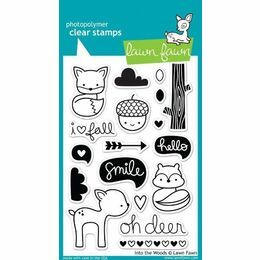 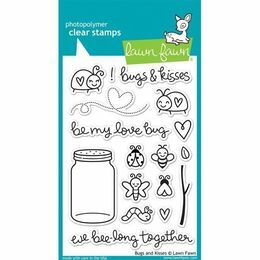 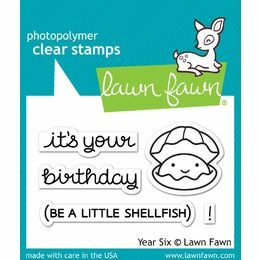 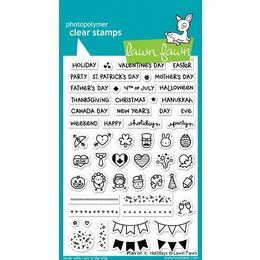 Lawn Fawn Stamps are made in the USA from the finest clear photopolymer. 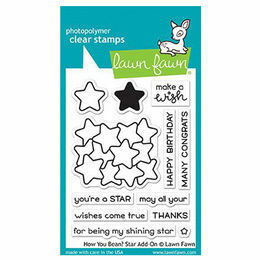 Many of the stamps are designed to coordinate with Lawn Fawn Lawn Cut Dies. 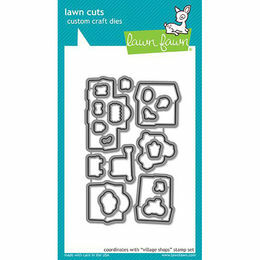 Coordinating dies set can be down in the Lawn Fawn Dies category or please contact us for more details! 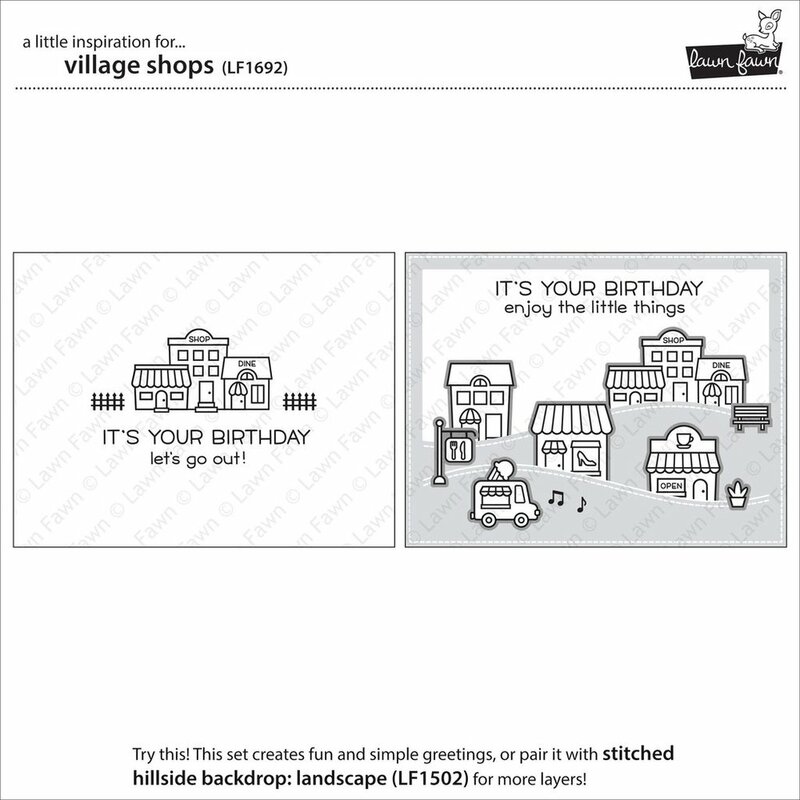 Treat yourself to a day out with this fun set of shops! 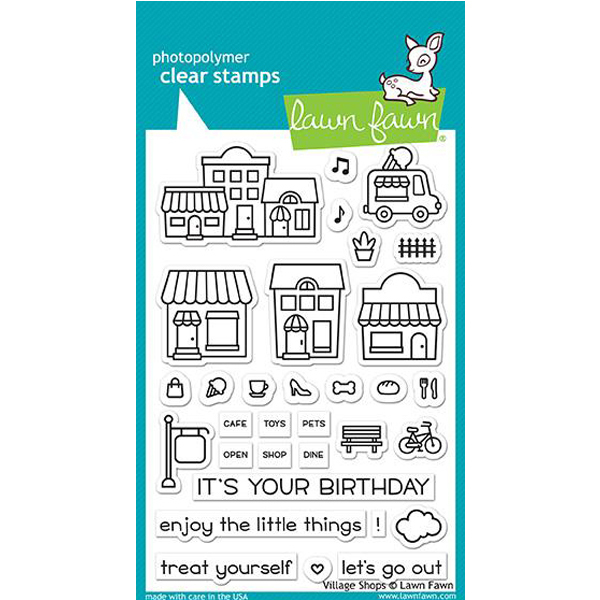 These stores, ice cream truck, and accessories are perfect for creating a cute little town. 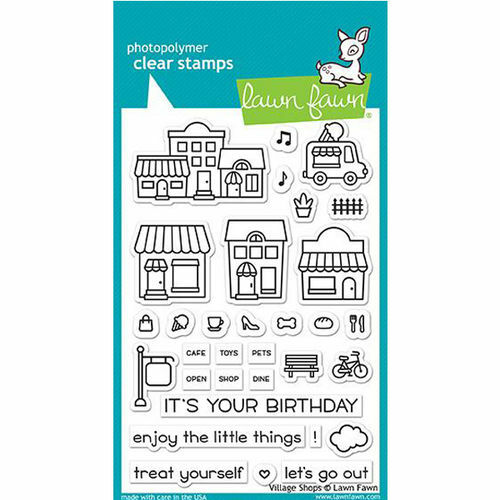 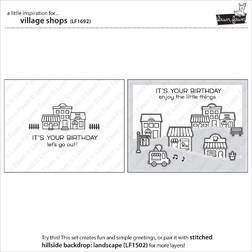 Stamp the included icons onto the sign, store windows, or layer them on top of the rooftops for cute custom shops. 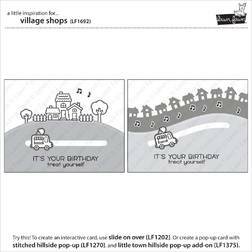 Coordinating set ideas: Use Slide on Over to make an interactive card with an ice cream truck “driving” through town! 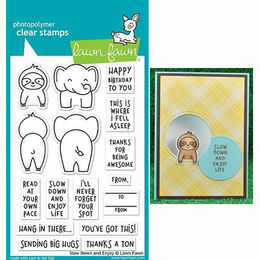 Stamp the sentiment “treat yourself” and use Simple Gift Card Slots to add a gift card inside for your recipient. 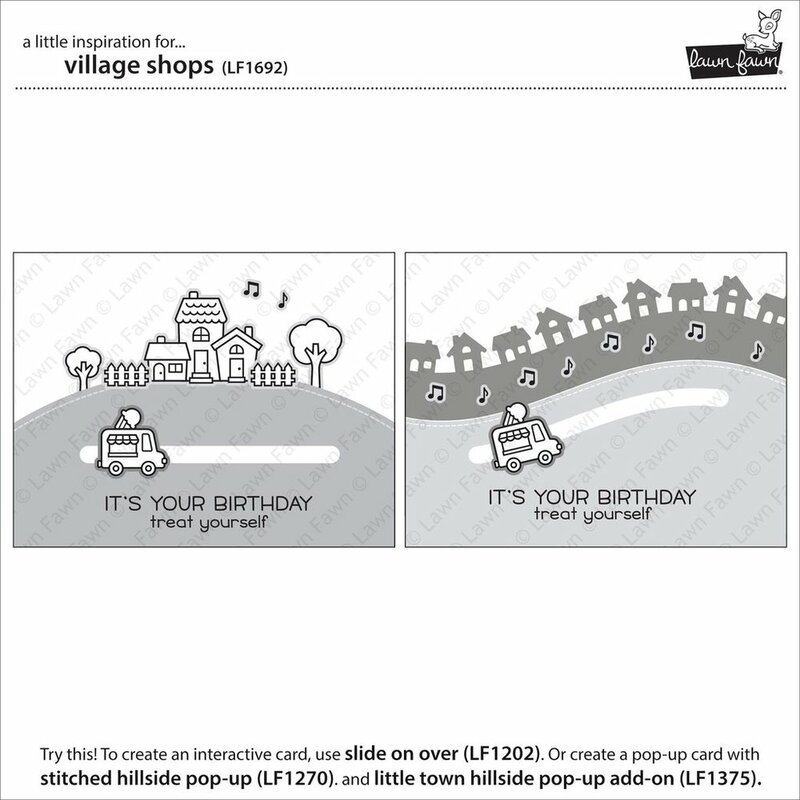 You can also create a scene by tucking the buildings into the hills from Stitched Hillside Backdrops. 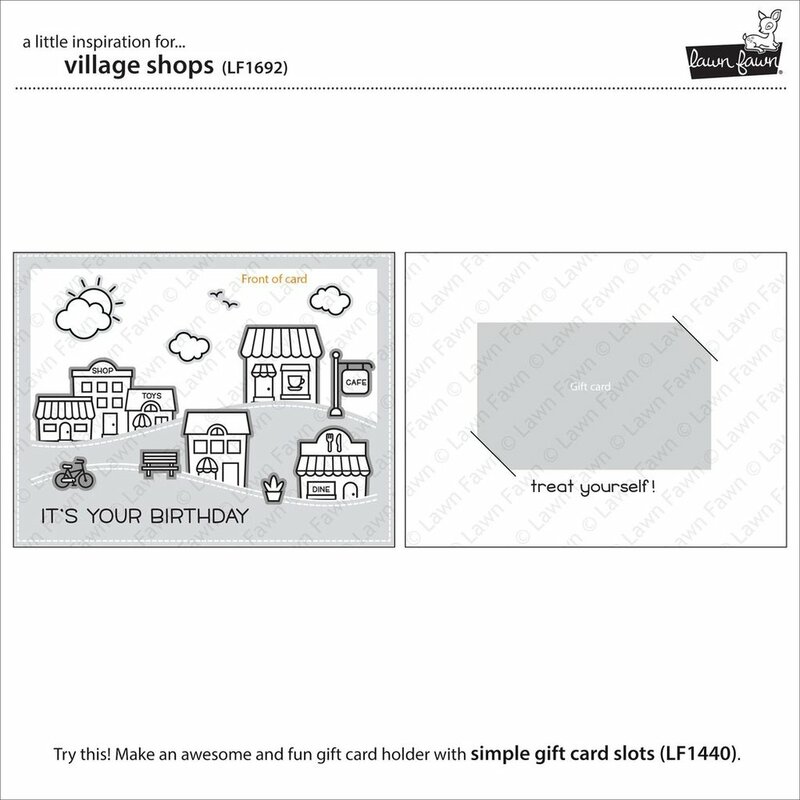 Use the tiny critters from Coaster Critters to have little shoppers in your town!